I’m currently in the throes of our European Media Tour, hence the lack of Whiteboard Wednesday this week. England and France are down, with Germany left to go next week. The tour has been really fantastic, and the media and fighting game site reaction has been nothing short of phenomenal. 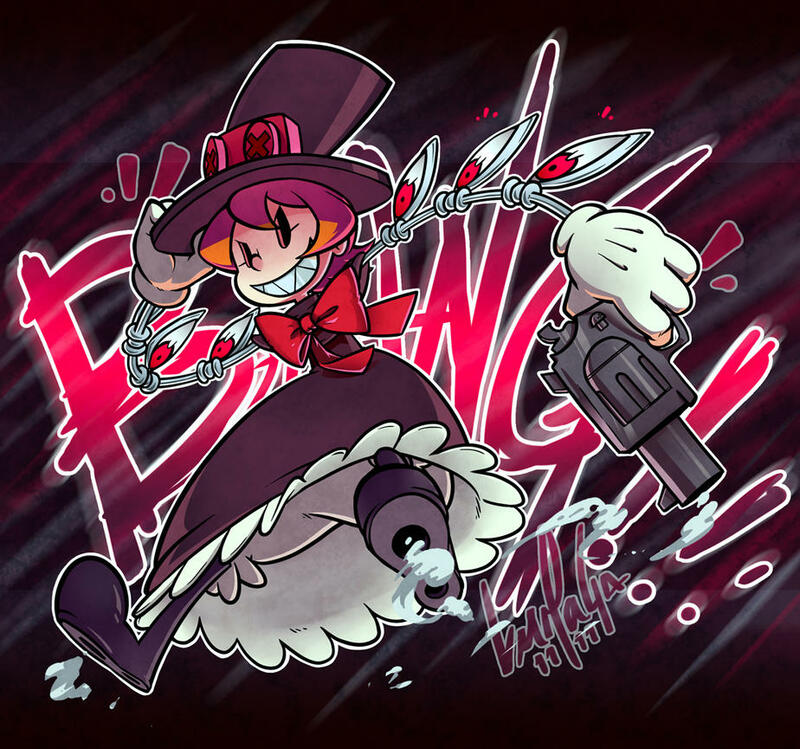 This fantastic portrait of Peacock by LuMaGa is… fantastic. Also, awesome. 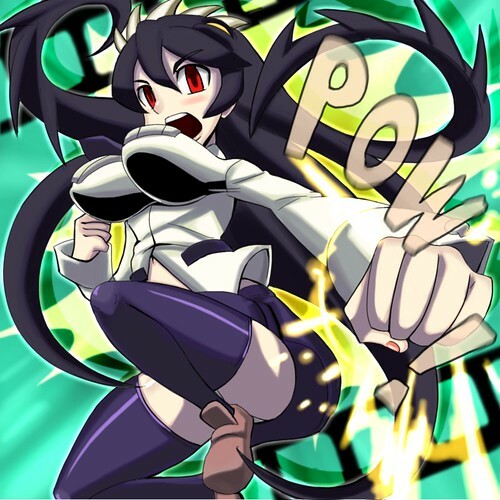 Pixiv user モモぽん drew this dynamic picture of Filia. Ms. Fortune struts her skulking stuff in this piece by Pixiv user ポ介. 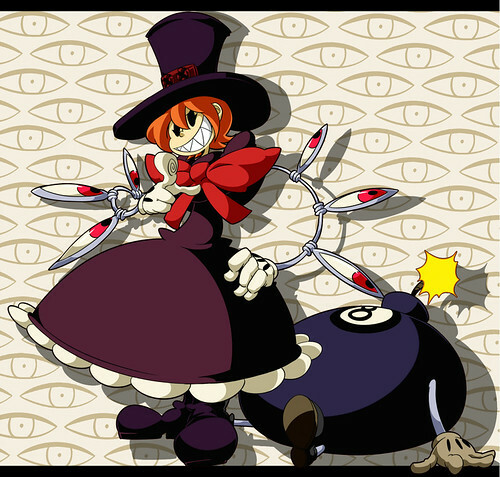 The other portrait of Peacock by Pixiv’s 黒サイ@りんご酢 is amazing. Furthermore, fantastic. 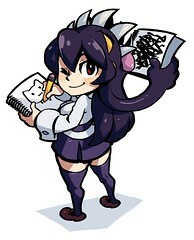 All of them look great, but I like the subdued Ms. Fortune pic the most: her slinky posture and stare makes it for me. The top Peacock one is my favorite, very good.